Ras, 06 Aug 2013I see that the samsung and the lg are low end laggers but i cant see how people would buy this... moreWell, a Lumia needs lots of data to work properly while this phone doesn't. And people who buy phones in this price range don't necessarily have huge data plans. This will be too slow for sophisticated markets used to Android/IOS stable of phones. Is it possible to store a postal address too to Asha 501 phonebook? Got one of these, battery life is amazing just like good old nokias, lasting 2-3days of regular use. I got a iPad mini with cellular, so that takes care ofy multimedia needs. Can't wait for ASHA 511(311 replacement) with 3G, HVGA 3.5 inch and 5MP pureview camera plus LED flash. Add newly ported apps optimised for the ASHA platform with its swipe UI and I'm sold. For now I will buy this for my little sister. Good job Nokia. Asha 311 is much better. You say the 501 has better build quality, but the Asha 311 with a $3 rubberized case is superior quality (with the Gorilla glass). Asha 311 has higher resolution and supports 3.5G on T-Mobile in USA. I don't get why the 501 even exists. I see that the samsung and the lg are low end laggers but i cant see how people would buy this when for 20 bucks more you can get a last year lum610. I have a galaxy mini and it breaks my nerves how it suks, i spent 110$ on it last year! Im getting an old mid range this time. AnonD-629, 06 Aug 2013I don't understand why Nokia supports this stupid & unuseful phone. Asha series is a st... moreYou must be kidding... Comparing a dead platform to a live one and not understanding why the live one is better supported?! AnonD-629, 06 Aug 2013I don't understand why Nokia supports this stupid & unuseful phone. Asha series is a st... moreBecause it's cheaper and worth spending some 60-70 bucks? 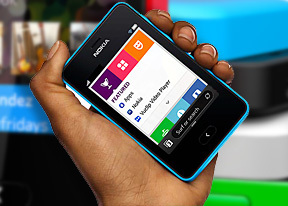 I don't understand why Nokia supports this stupid & unuseful phone. Asha series is a stupid phone made in Nokia compares with S^3 series (Belle Refresh and Belle FP). It's a crappy phone but Nokia support it more than S^3. I have a N8 Belle Refresh and for example LINE app doesn't exist for my phone but you can get it for Asha series. My N8 it's a great phone and Asha series is one rubbish. No more words needed to say what I think from Nokia. AnonD-7043, 05 Aug 2013Gr8 Review...! 501 is really a gr8 blazing fast no-nonsense phone...! As always kudos to Nok... moreAnd its OS is more functional than WP8 apparently. And much better than iOS will ever be. Peter From Poland, 05 Aug 2013I wonder who will care about this phone at all... honestly... Does New Nexus 7 is next in you... moreI do, as many other people, i like GSMarena because they review feature phones, not only high-end smartphones like other websites, low-end phones are more important for millions of people around the world and yet most websites focus only on the high-end and the expensive. Peter From Poland, 05 Aug 2013Yes I was on holidays, so lets say I'm not really up to date with all news, and I know that no... moreWell don't take it seriously. I was just informing you about the recent chart's activity. Not you but many others are wishing for a Nokia Android. Me, I am just a Nokia fan. Anything, Nokia adopts, I am going to adopt it. Whether it is Windows Phone, Android, Symbian, Meego or even iOS(lol). I just like Nokia, rest of my needs on a cell phone can be achieved in any brand like Facebook, Yahoo, Youtube, Instagram etc. 501 is really a gr8 blazing fast no-nonsense phone...! As always kudos to Nokia 4 bringing something fresh & innovative. Anyway, this phone truly deserves a praise, and your conclusion about a price cut is definitely wise. I hope Microsoft support nokia more in their windows phone endeavor, as they're (nokia) showing true loyalty and dedication to the platform. In this category, Nokia is actually on the right track. However, on high ends, they sure need to work a lot. Actually, MS need to work a lot. gsmarena why didn't review lg l7-ii?